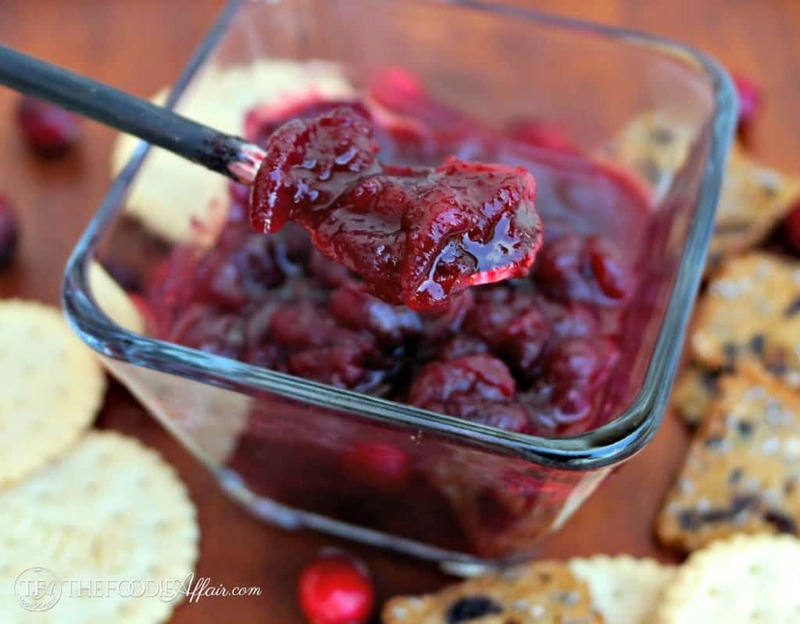 Baked Brie Cranberry Sauce recipe is an easy and elegant appetizer to serve during the holidays! Add chopped Maple Pecan Nuts for some delicious texture and serve with a variety of crackers! 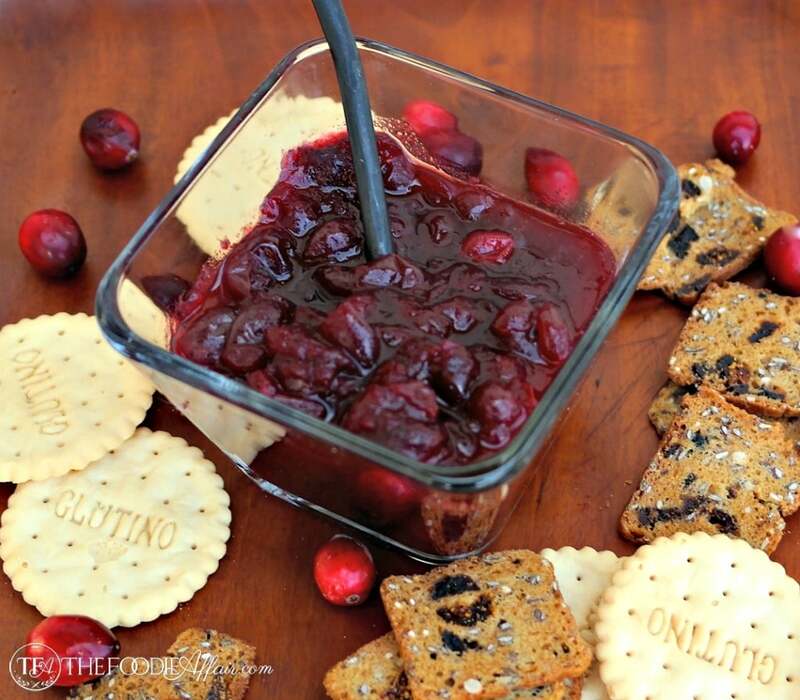 I love this time of year when there are plenty of fresh cranberries to enjoy! Those tart berries sure are delicious when you add them to different dishes, and it’s such a fun dish to watch transpire into a sauce. I especially like the sound of the berries popping as they begin to cook and release thier juices. 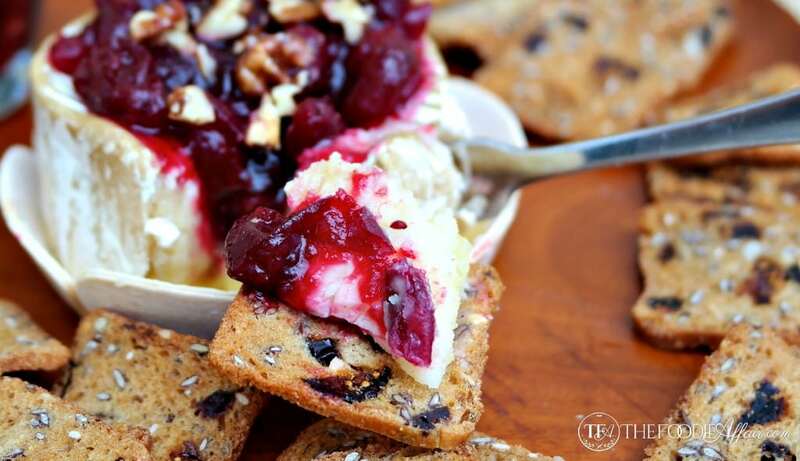 Cranberry sauce topped on some brie cheese is a delicious combination. The two makes a super quick and elegant appetizer and gets eaten pretty quick. Cut a small hole in the center of the brie scooping out a portion to make room for the cranberry sauce. Put this in the oven just until the cheese begins to get nice and gooey! I served this with crackers, but sliced green apples would be delicious too! Pre-heat oven to 425 degrees. Line a small pan (round cake pan works well) with parchment paper. Cut a small circle into the rind of the cheese forming a shallow hole. Add about 1/3-1/2 cup of cranberry sauce. Bake until cheese begins to melt and sauce begins to bubble. Remove from heat and top with chopped pecans. Serve with crackers or slicked bread. 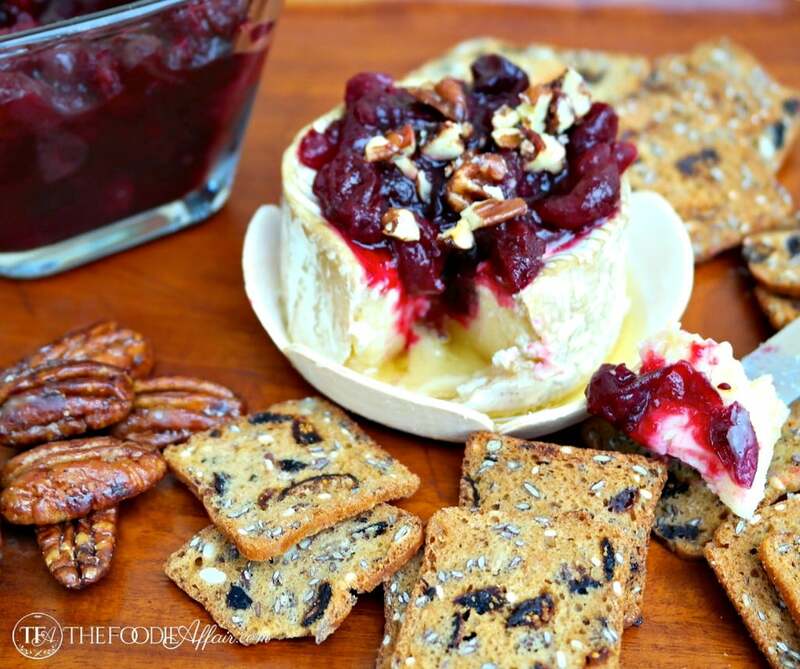 Baked Brie with Cranberry Sauce looks so wonderful, it’s the perfect holiday appetizer for any gathering! This looks absolutely amazing! I am a huge baked brie fan. Can’t wait to try this! G’day This looks so delicious! I just ate, but want to try some of this now! 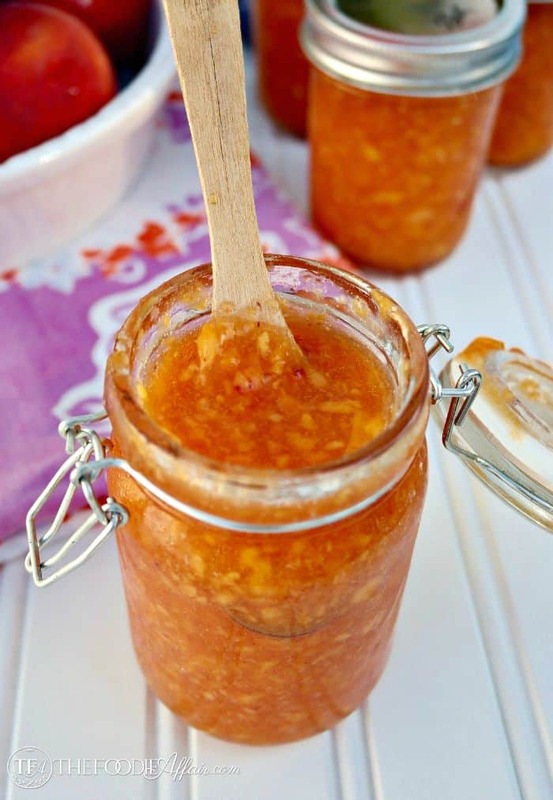 This is a great appetizer especially now that Christmas is on its way! I love brie! This is the perfect appetizer, love that you added the pecans! Sandra…I love serving all kinds of delicious toppings with baked brie and yours looks so pretty and YUM! Can’t wait to try your recipe! Hi! My name is Sandra. I’m a health enthusiast, a recipe tweaker, and a wine sipper!! On my website I want to share my favorite family dishes… some are healthy low carb recipes, some are sinful, but all are delicious!